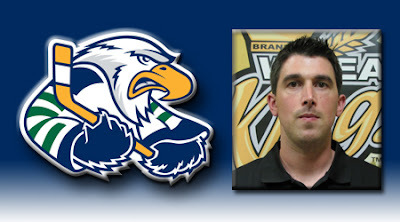 Surrey, BC - The Surrey Eagles Hockey Club is pleased to announce that Grant Ammann has been hired as the team's Athletic Therapist and Equipment Manager. The Aldergrove native comes to the Birds after working for the Brandon Wheat Kings of the Western Hockey League. "Grant is a really qualified individual in his field," said Eagles President Peter Schaefer. "He's also got some personal training experience under his belt which will be a huge benefit to the team going forward, and we're excited to have him as a part of our hockey club." Ammann joined the Wheat Kings in 2010 as the team's Athletic Therapist. Prior to that, he spent time at the Performance Institute as a Strength and Conditioning Coach. He has also worked for the BCHL's Burnaby Express, the gold medal winning Team BC at the 2011 Canada Winter Games and Major League Soccer's Vancouver Whitecaps FC. The Eagles would like to welcome Ammann to the organization.